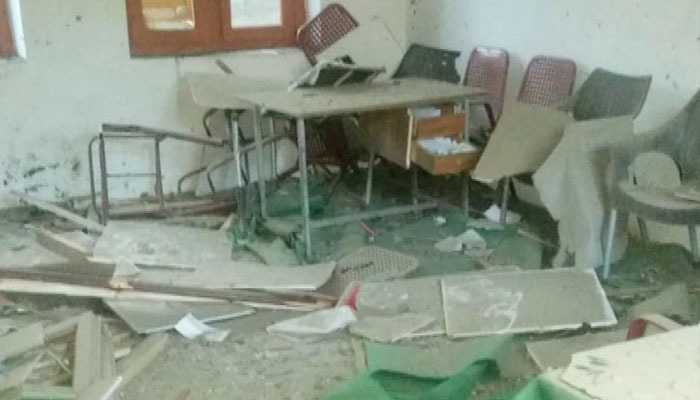 CHILAS :- Thirteen girls’ schools were attacked in Chilas, about 130 kilometres from Gilgit late Thursday night. Unidentified men attacked 13 girls’ schools across Diamer district and damaged school property, police sources said. The attackers also torched some items in the schools, the sources continued. “Explosions were also set off in two schools,” they said. Police have started a search operation in the area. 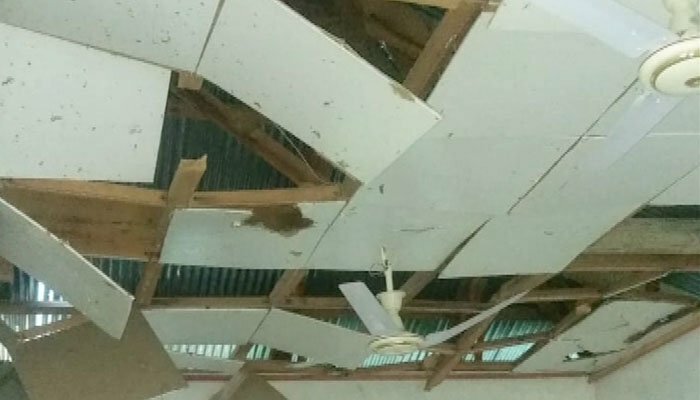 According to the district administration, the schools that were attacked were under-construction. Officials added that they will ensure adequate measures are taken to safeguard schools and students. Girls’s schools are often the target of attack in the northern areas of Pakistan. In December 2011, at least two girls’ schools were partially damaged in low-intensity explosions in Chilas. Earlier that year, unidentified assailants had also blown up two girls’ schools. The year 2004 also saw a string of attacks on girls’ schools in Chilas. Nine schools of which eight were girls’ schools were attacked and destroyed in five days in the area in February 2004. Terrorists used to frequently bomb educational institutions in Khyber Pakhtunkhwa and Federally Administered Tribal Areas (FATA) before the launch of military operation Zarb-e-Azb in North Waziristan Agency in June 2014. Earlier in May, two schools for girls were hit by bomb explosions in Mir Ali tehsil of North Waziristan Agency. According to a report, about 1,500 schools have been destroyed in the tribal belt during the last 10 years. Nobel Prize winner and education activist Malala Yousafzai was also shot by the Taliban in 2012 for advocating the education of girls in Swat. In 2017, the Human Rights Watch (HRW) in its report stated that attacks by the Taliban and other militant groups disrupted the education of hundreds of thousands of children, particularly girls, in Pakistan. The 71-page report, “Dreams Turned into Nightmares: Attacks on Students, Teachers, and Schools in Pakistan,” based on 48 interviews with teachers, students, parents, and school administrators in the Pakistani provinces of Punjab, Sindh, and Khyber Pakhtunkhwa (KP), urged the Pakistan government to take measures to make schools safe for students.